An event less week had left my mind zombied! I was dying for some cool that would have pepped up my weekend and energized my flagging spirits. 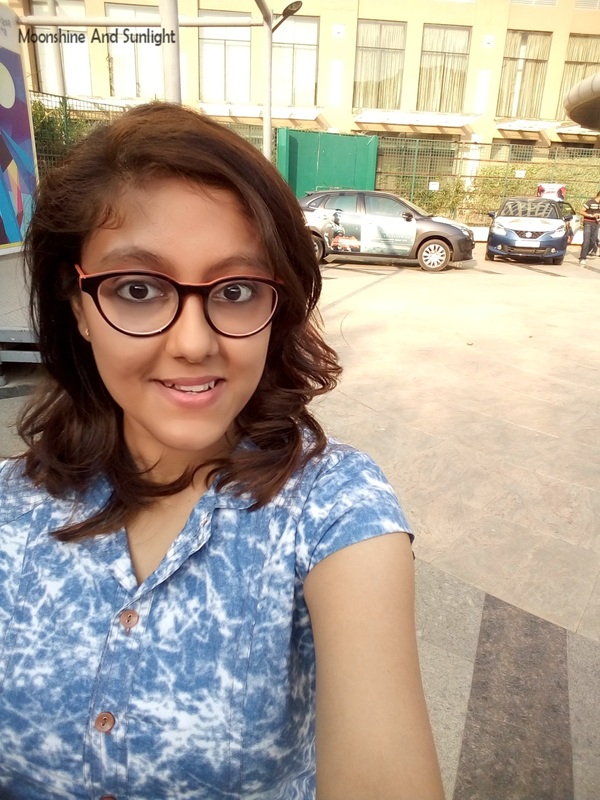 Thankfully, I got to attend one of the coolest events of the year on 25th of March, organized by the lovely people at Nexa. It was perfect way to end the week. Nexa is the latest offering from Maruti Suzuki. Nexa’s ultra-luxurious showrooms are truly state-of-the-art, designed to delight and pamper the customer from the second he/she steps in. Currently, the two cars being being promoted at Nexa include the super sleek Baleno (my first car crush) and the awe-inspiring S-cross. I was lucky to be a part of an event they had on 25th of March, that is last Friday, in Bangalore, Delhi and Mumbai. It was the #BalenoFaceOff Challenge where the two contenders were none other than the two caped crusaders - Batman and Superman! Yes, we had two cars, a grey Baleno representing Batman and a blue Baleno representing Superman, facing off against each other. 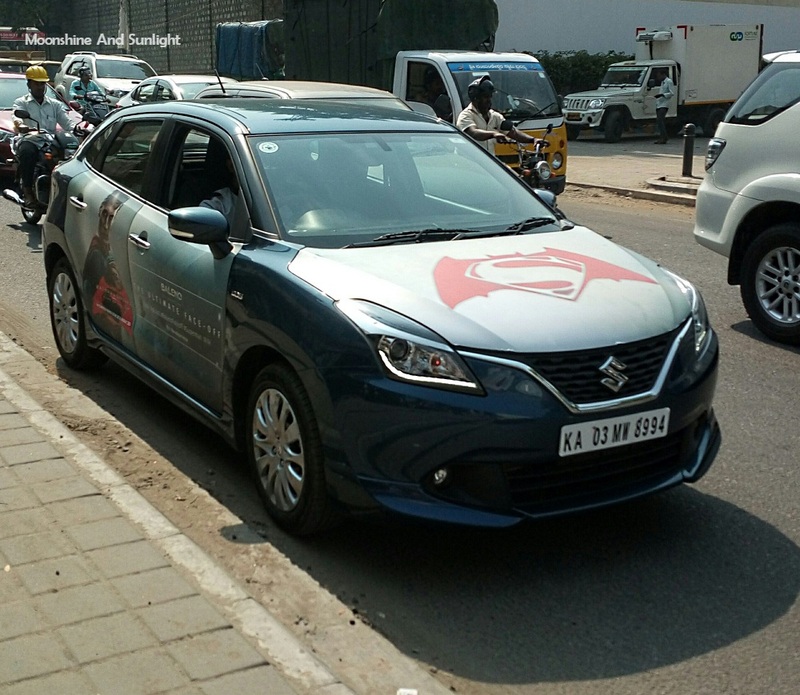 Since I always been a Superman fan, I went around town in the Blue Baleno , met scores of people who participated in the #BalenoFaceoff Challenge on twitter and presented them with their prizes! I drove around Bangalore in the Baleno and its hard to describe what an awesome car it is.Step into it and you feel can feel its power. Everything from the dashboard to the upholstery is a treat for the senses. But the real treat begins when you step on the gas pedal and hear the engine go. Believe me guys, one drive is all that it took for me to fall in love with Baleno. So we went from Kormangala to Brigade road and from there I drove down Then we went to Inorbit Mall, and Garuda Mall, where we met RJ Sriram of Fever FM who supported Team Batman!! When I was going around from place to place, I kept tweeting about it and constantly kept receiving requests to be somewhere. I even had some fanatic fans from different cities, request me to pay them a visit in the Superman Baleno. 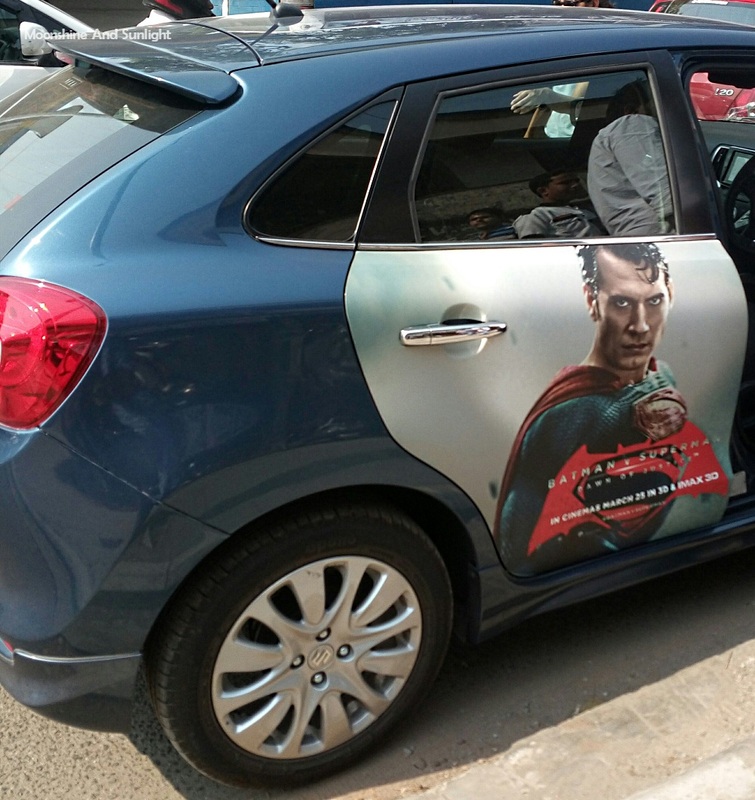 Those who spotted the car, tweeted the picture of the car with the hashtags and won movie and also shopping vouchers. Everyone's excitement and enthusiasm was truly a sight to behold. 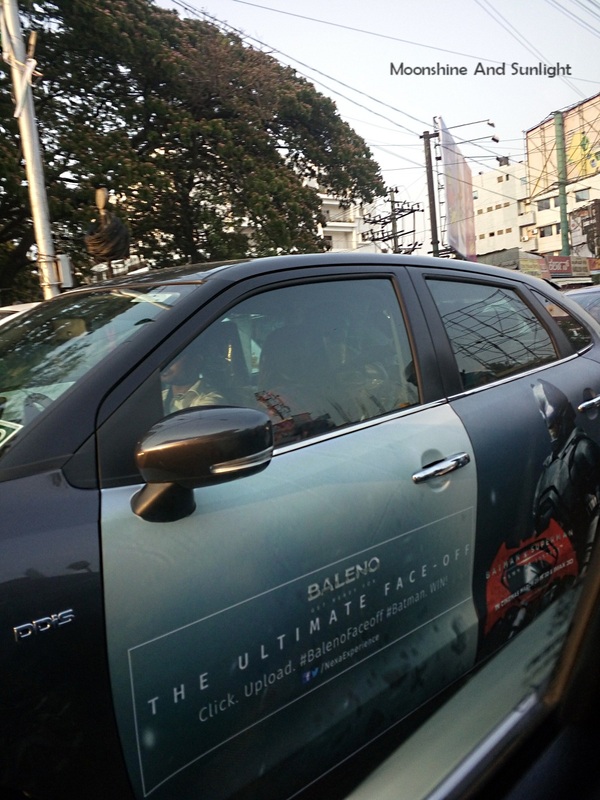 All in all, it was great driving around Bangalore in those awesome Balenos , meeting the winners and being a part of the #BalenoFaceOff in Bangalore.